Introduction - What is this all about? A number of years ago I became fascinated by the idea of constructing a precision timepiece from raw, stock metal, id est, 'from scratch'. At that time I knew very little about mechanical watches, and the idea began as a simple curiosity as to 'why not? 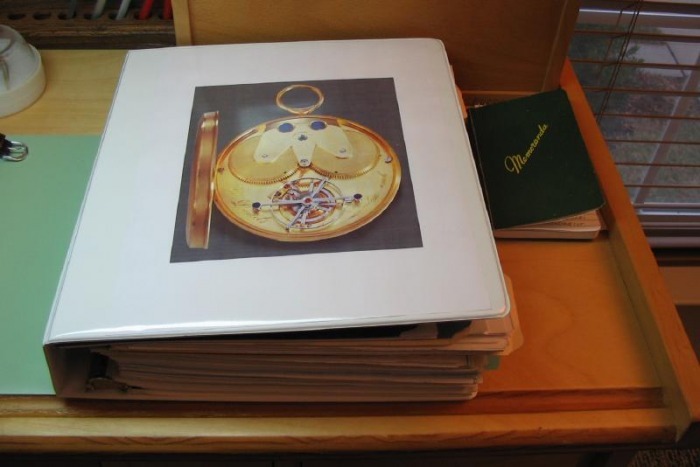 ', but became a goal after coming across a copy of George Daniels' book, titled "Watchmaking." Oddly it was one of the first books on the subject that I came across (perhaps due to the title), but here was not only a veritable instruction manual for the manufacture of every component of a watch by hand methods, but Daniels' style, tastes, and basic philosophy about watchmaking seem to resonant with me in almost every way. I then felt truly inspired that it was not only possible to construct a watch by hand methods, but that someone (as well as others) had accomplished such a feat. After reading this book several times, it was also quite clear that it wasn't going to be an easy task, by whatever means. A book titled "Apprenticeship In England, 1600-1914" by Joan Lane discusses some early texts which describe the state of the watch trade in the time period when watches were made largely by hand methods. They point out that the watchmaker usually did not himself personally make the watch, but “employ the different Tradesmen among whom the Art is divided, and put the several Pieces of the Movement together, and adjusts and finishes it”. They further state that "the craft" had so expanded that, by 1817, it was possible to enumerate some 102 specialist branches of the trade. More contemporary watch-makers describe the process of making a watch as requiring some 25 to 30 separate disciplines. One who wishes to make a watch from start to finish, wholly themselves, must therefore master, or least make good use of, these various disciplines in their endeavor. Having never made a watch, designing an entirely new watch, I thought, would only add another level of complication, and avenue for additional frustration. I understand that a watchmaker should strive to be unique, however, in a parallel sense, just as one is learning to paint or play an instrument or any art form, he usually begins by emulation of those works which give the most inspiration, before creating original work. 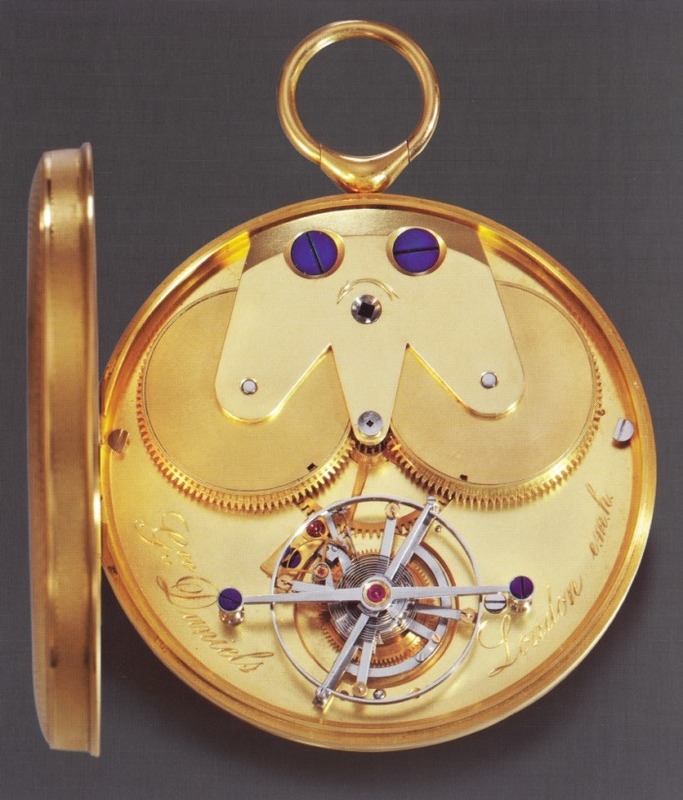 Daniels' work displays an exquisite comprehension of the art and the science of watchmaking (to borrow his own words in describing Abraham L. Breguet). His works were not simply ars gratia artis but more ars est celare artem, in that each watch was a progression of horological experimentation hidden within an aesthetic masterpiece. Since owning an actual Daniels is not a likely possibility, and I desire to make my own watch, then naturally I have resolved to make a watch that is based on his. I have no formal training in watchmaking, no master nor mentor, so in making my watch I feel that I will be undergoing a sort of quasi-apprenticeship, by trying to follow written instruction and making each component a priori. I have no intention of selling the watch, I do not expect it would be suitable for sale anyway. It will be a vehicle for experimentation and will concentrate on the technical aspects, and I expect it would be not up to the 'finished,' ornately polished standards that a collector demands. Being made by my hand, it will have unavoidably ‘unique’ characteristics, and as I come across or think of different ways of doing things, I will. So, back to reality... For the last few years, as funds permit, I have been amassing tools, equipment and tinkering with 'practice' movements to prepare for what I believe will be required for this task. At the time I am writing this, I have ordered an 8mm watchmakers lathe (Cowells 90 CW). I'll mention, for those unfamiliar with watchmaking at all, that the lathe is the most critical piece of equipment in the watchmakers workshop, just about every component of a handmade watch is made, at least in part, on the lathe. Therefore the choice of machine was not to be taken lightly. The arrival of the lathe will allow me to begin practicing a whole new set of skills and start actual construction of a watch. I will document the arrival of this machine in a post, and I will try to keep this site up-to-date with my experiences using this lathe and the making of the components to my watch. Daniels mentions that to make a watch such as his, it would require approximately 3,000 hours for a "competent beginner" and about 2,000 for an experienced watchmaker. I like to think I fit the former category... Three thousand hours equates to about a year and a half, working full time! Already having a 'full time' job and needing to attend to the various other niggling banalities of mundane existence, I can only conclude this project will take a substantial length of time to complete. To quote another amateur machinist, I will try to make "one perfect part at a time." Other than basic planning, I will try not to concentrate on the completed watch or the long road ahead, but focus on the component that is chucked in the lathe and make it as best as I can; that seems to be the only way to go about it. "... Until one is committed, there is hesitancy, the chance to draw back, always ineffectiveness. Concerning all acts of initiative (and creation), there is one elementary truth, the ignorance of which kills countless ideas and splendid plans: that the moment one definitely commits oneself, then Providence moves too. All sorts of things occur to help one that would never otherwise have occurred. A whole stream of events issues from the decision, raising in one's favour all manner of unforeseen incidents and meetings and material assistance, which no man could have dreamt would have come his way. ... Whatever you can do, or dream you can do, begin it. Boldness has genius, power, and magic in it. Begin it now." Shown to the right is Daniels fourth watch, made for Edward Hornby, Esq. in 1971 (engraved 'emh'). One could say that this is the watch I am seeking to emulate. It is a one-minute tourbillon, with two-armed carriage, an Earnshaw spring detent escapement, stainless steel balance, steel balance bridge, and twin mainsprings. It is currently in a private collection. Photo taken from Sotherby's Daniels Retrospective, 2006. A photo of the ever-expanding workshop notebook. It contains various drawings, notes, photocopies of procedures from various books, product specifications, etc. I keep a photo of the watch above on the cover as a little reminder of the ultimate goal.